Week 26: Have You Met the Mexican Jumping Bean in My Belly? Big week at work this week, I picked up a new client with Sticky marketing and Fitcee. I was so excited, but needless to say I was exhausted by Friday. Josh and I are trying to work hard before baby comes to get everything in line, so hopefully we can relax for a few months and just do some squishing and cuddling of our little dude/dudette. 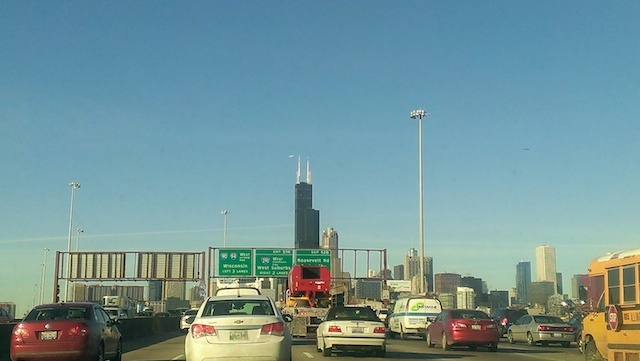 In an attempt to meet with a new client, Josh and I drove to chicago for the day. It ended up being 6 hour+ of driving to present for 30 minutes, but it was worth it! I love meeting clients face to face, I think it starts the relationship off on the right foot considering so much of our work is done remote. Baby E didn’t mind the traveling, he/she was kicking all day, every day this week – soon they will run out of room in mama’s belly to do all of the constant flips, but in the mean time kick away! It’s funny, I’ve found myself talking to baby a lot more in the past week or so. At night when I am reading, I’ll read out loud so baby can listen, or during the day if I’m working in silence I’ll turn on music, not for me – but to give E something to listen to. Some exciting news is we got a new stroller this week! 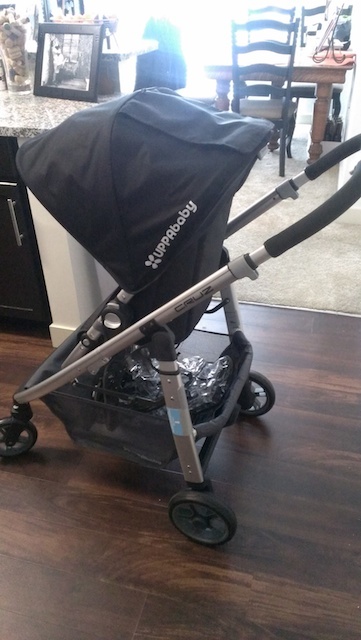 I loved the Uppababy stroller when we were shopping for one and have been hesitating to spend $460 on just the stroller (not including the car seat or the Chicco adapter). I got lucky and was able to use a 20% off coupon and a lot of gift cards I had saved up and we got the price down to $200! 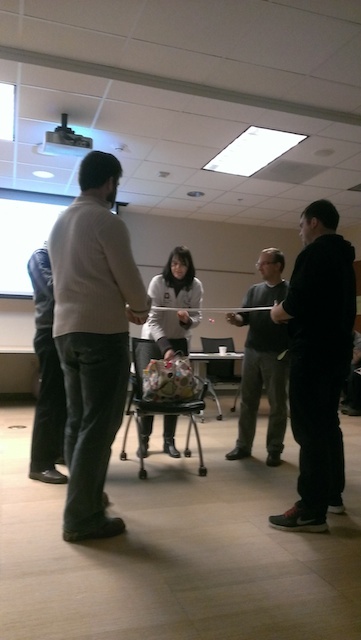 My parents had just given us our baby gift, so we used that to purchase the stroller (thanks mom and dad!). I love it and can’t wait to take E on long walks this summer! We had our first baby class this week. We signed up for our hospitals lamaze/newborn essentials course that was recommended by one of my best friends. The instructor was great and it was interesting to listen to other future moms and dads and hear their opinions and how their pregnancies have gone so far. At the end of the class she turned off the lights and turned on what I consider elevator music (I think it was enya). She told us to sit back, close our eyes and relax and focus on your breathing. There was no “hee hee haa haa” type of breathing, just a lot of relaxation and focusing on breathing. I’ll get back to you in a few months with my birth story, but I can’t see the calm music and closed eyes to be my secret weapon during birth. This is coming from a girl who can’t do yoga because she can’t shut down long enough to turn her brain off. During yoga I start doing grocery lists and thinking about everything I should be doing instead of sitting in that room breathing. I understand that yoga is a learned process and helps a lot of people relax. I’m more of the lift weights to loud pumping music to relax. So, enter E being born in a few months. I can’t imagine that I am put in my most stressful and painful situation yet, and then someone telling me to ‘calm down, breathe, and listen to this elevator music that usually stresses me out more’. Ok, so who knows I still have a few more classes and a lot to learn about this birth thing, but I am thinking I need more of the distraction route. Put on my favorite stand up comedian and play a round of Table Topics. Any advice on this one? How are you planning on getting through birth? Or if you’ve already been through it – what worked for you? The baby books say that baby starts to slowly open their eyes this week, their brains starts functioning and taste buds start picking up flavors I’m eating. Hopefully the spicy foods im eating aren’t bothering baby and I cant wait to look into E’s beautiful eyes! Best moment of the week: Hit the 100 day countdown – after this week we are officially in the double digits until baby comes! Obsessions/Cravings? Orange Juice with Soda Water – I love the added bubbles by the soda water. What I’m most looking forward to this week: Starting the third trimester soon! What I miss the most: Nothing this week – just excited for baby to come! Workouts: Still getting through P90X on Fitcee Fitness and writing about how I am regressing each exercise for preggos – stay tuned: P90x for Pregnancy! The running is still going great – 3 miles seems to be my sweet spot. Running is honestly the only thing that makes me feel normal, don’t know what I would do without it! Movement: Still lots of movements – except when someone wants to put their hand on my stomach, E of course stops moving right away. There was a lot of activity in the morning this week, and right around noon it seems baby is ready for lunch and starts karate chopping. The movements this week felt much more like a mexican jumping bean in my belly, as if baby E is jump squatting on my bladder.